We’re Benefit Plans Inc. (BPI), and as our name clearly states, we know benefit plans, specializing in retirement plan record keeping and administrative services. We also know that our business involves more than plans and numbers – it runs on relationships and trust. And we do everything possible to earn that trust: We ask questions; we always listen to the answers, and then we work together to design the best solution. It’s simple. We get to know you so we can create a plan that’s perfect for you. Once that plan is in place, we keep it going with robust technology, allowing you to focus on what you do best – your business. Since opening our doors in 1980, our team in Omaha, Nebraska, has consulted with and designed custom retirement plans for more than 750 small and mid-sized companies throughout the Midwest. We are an independent Third Party Administrator firm for retirement plan providers such as American Funds, John Hancock, Mass Mutual, Nationwide Financial, Principal and VOYA – and we look forward to partnering with you. 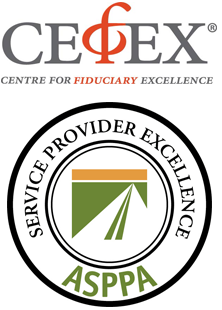 We are confident we can provide you with accurate and timely plan services, and we’re not the only ones – the Centre for Fiduciary Excellence (CEFEX) agrees. We have been designated a Certified Retirement Plan Service Provider through CEFEX, joining only a handful of firms that hold this designation.